Emma's Education Center - Our Unique Approach! 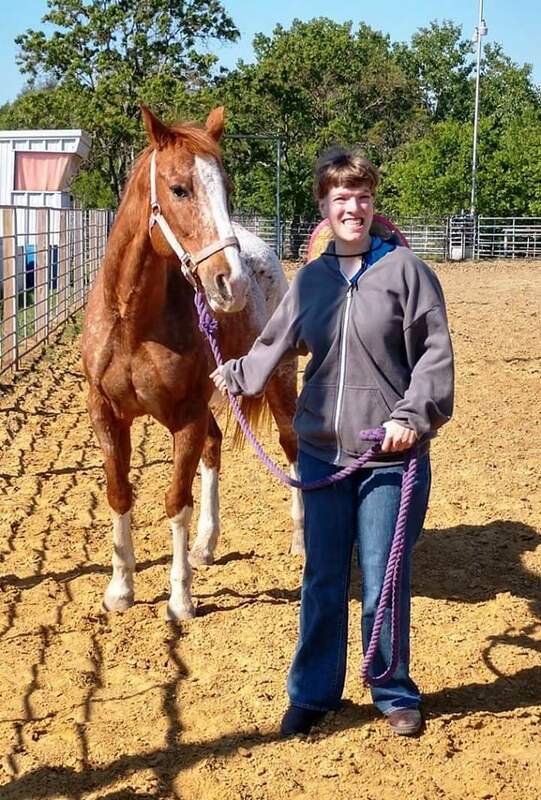 People told Emma's Mom that she was crazy to use rescue horses to try and teach--as well as instill--a love for Texas heritage. There are so many wonderful things that make Texas a unique and great state to live in! On Tuesdays, the students are immersed in the fun things about Texas. They learn, on their own level, things from the history of statehood to the iconic and official "items" of Texas like chili being the official food of Texas! Tuesday lunch is always a preparation of Texas foods like chili, cornbread casseroles, King Ranch Chicken, etc. So why not add horses? Isn't that what Texas is all about? Emma's mom spent many years training horses in California. The reason she moved to Texas was to one day have horses of her own. In June of 2017, Emma's Mom rescued an 11 year old Appaloosa gelding from scheduled slaughter. After her love of the "Dallas" TV series, she named that horse J.R. 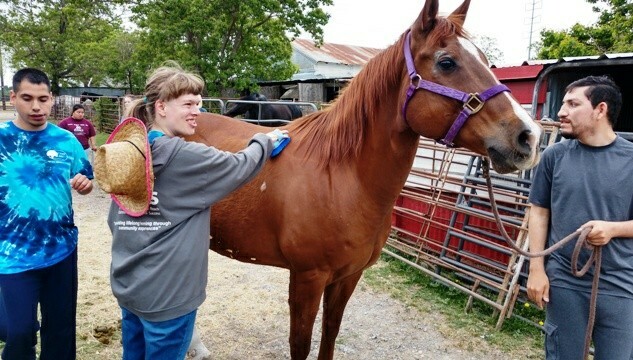 Since then, she has been training J.R. and he has become an amazing, gentle, majestic horse that the students love on. 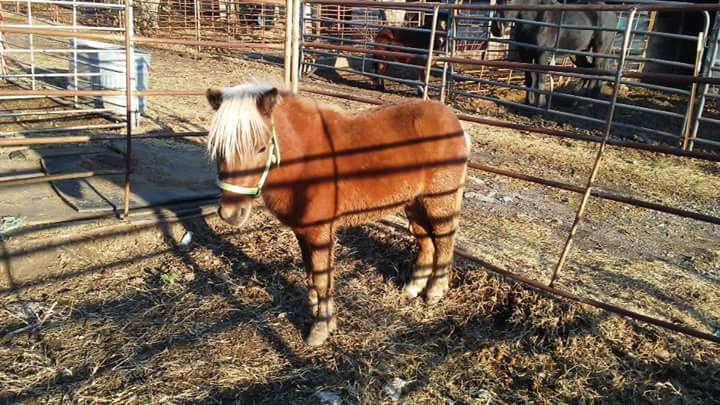 In December of 2017, a rescue agency donated two ponies--a Shetland and a Miniature--to Emma's Mom. 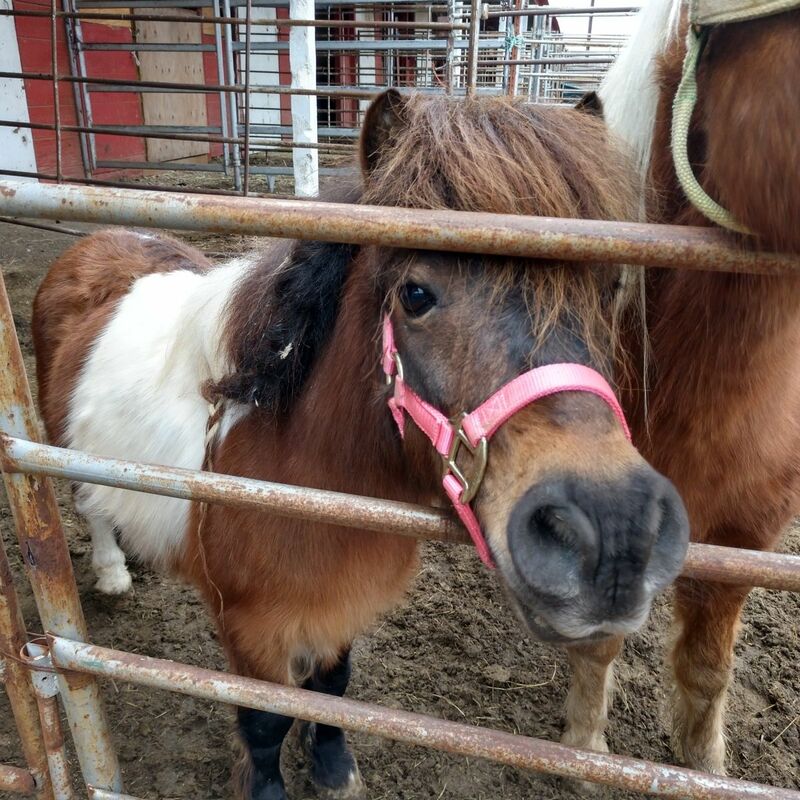 She affectionately named the the Shetland "Jock" and the Miniature "Bobby" and dedicated these ponies to the Center. 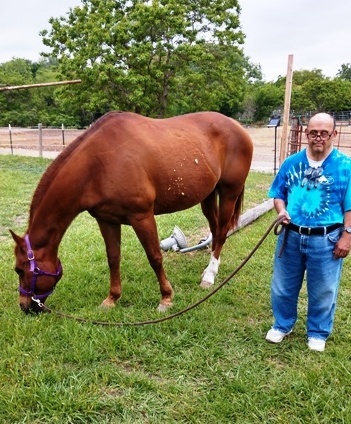 The horses we take care of are rescue horses. 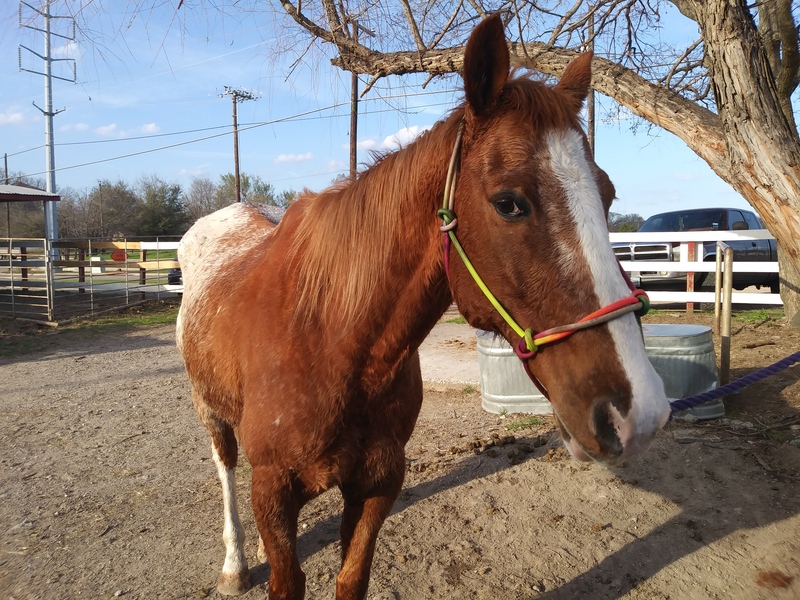 Each Tuesday during the school year, weather permitting, the students go to the horses' stables in Garland to learn how to feed, brush and care for a horse of their own. Under supervision, they walk the horses and get a feel for what it's really like to have one. 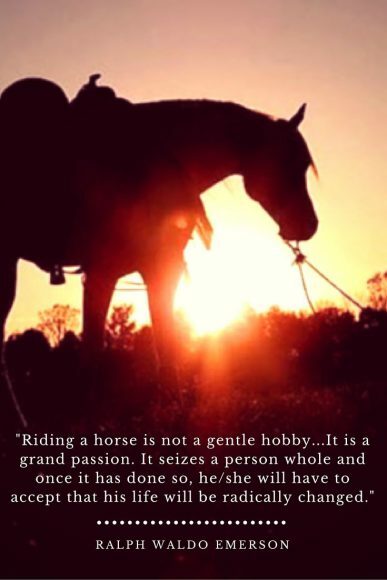 Because of insurance reasons, no horses are ridden--only loved on. Horses are therapeutic animals, much like guide dogs. It has made a huge difference in the attitudes of our students, as well as a difference to the horses! 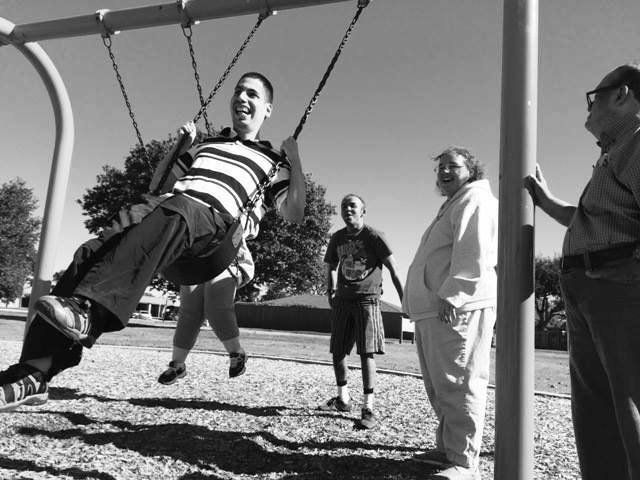 Take a look at the happy faces below!